First step is to log into the below website. 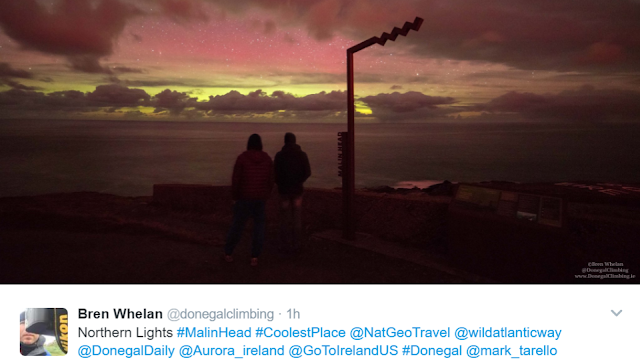 If today’s date is green in colour there is a high possibility of viewing the Northern Lights. 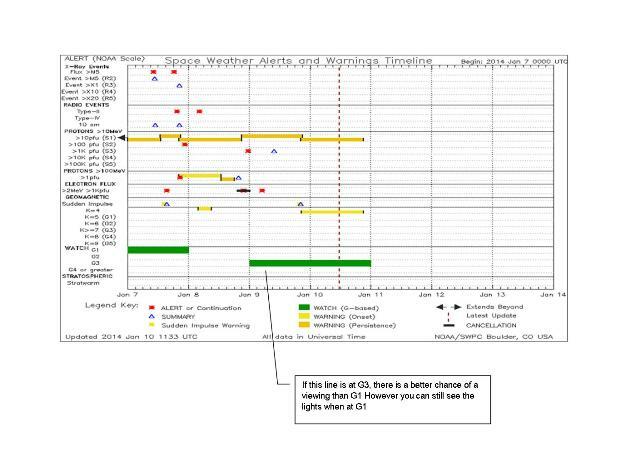 If today’s date is white there is no possibility of seeing the Northern Lights. The next step is to , check www.softservenews.com for real time KP values. If the KP number is 4 or more get out and head North after dark with clear skies. 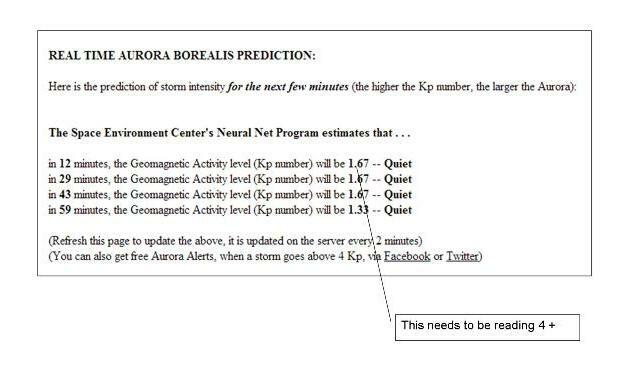 Stay on this web page www.softservenews.com Scroll down the page and another good tool on this website is the real time aurora forecast map. 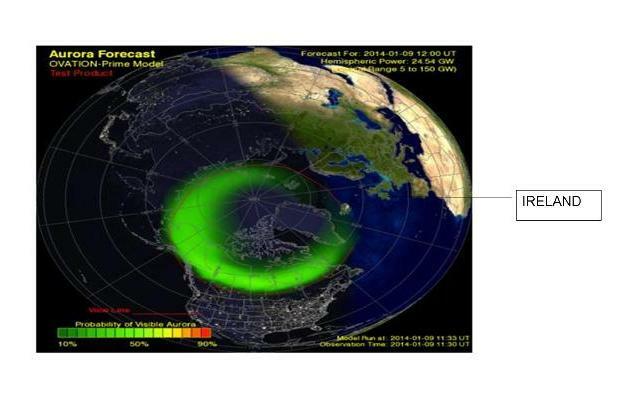 It gives a 30 to 40 minute forecast of the predicted size of the aurora along with a colour-coded probability of seeing the aurora over various spots on the Earth.When this green circle moves towards Ireland and is coloured yellow / red there is a very high possibility of a viewing. The Aurora can be visible from colour code 50% and above. 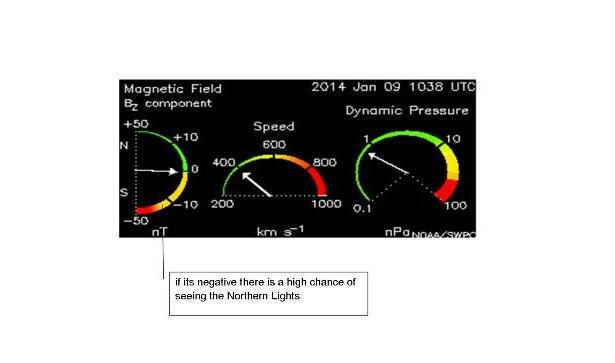 Next Log onto www.auroraspy.co.uk , Scroll down until you come to the below image:Aurora Magnetic Field. If this is negative then there is a high possibility of a viewing as components are being dragged South. If this is positive there is a very unlikely possibility of a viewing as components are being dragged North.